6 High-Calorie Food Thats Good For You. Watching your intake of high-calorie foods like ice cream, cookies, and french fries can be a key move in helping you reach your goal weight, but be careful about snubbing certain high-calorie picks that are actually good for you. These six foods may be high in calories, but they also offer your body essential nutrients to function normally and prevent disease. 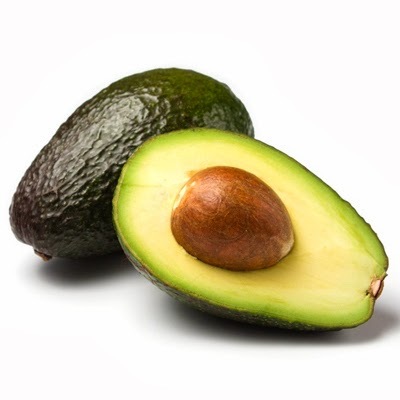 Avocado: Avocados contain monounsaturated fats (MUFAs), antioxidants, and beta carotene, which help memory, lower LDL (bad) cholesterol, and boost your HDL (good) cholesterol, as well as prevent heart disease. The recommended daily intake (RDI) of fat is 60 to 65 grams, and since one avocado contains about 30 grams and 322 calories, stick with eating just a half an avocado each day. Try one of these healthy vegan avocado recipes. 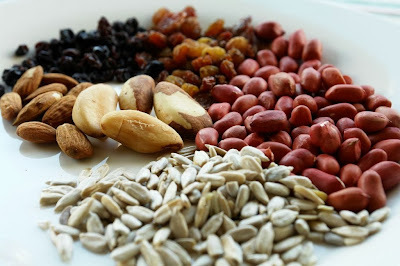 Nuts and Seeds: Almonds, cashews, walnuts, sunflower seeds, peanuts, and the butters made from them are about 160 to 190 calories an ounce or 210 calories per two-tablespoon serving. They may be calorie-dense, but nuts are also packed with muscle-building protein, heart-healthy fats, fiber, vitamin E, magnesium, zinc, folate, and potassium. Avoid mindlessly munching on handful after calorie-filled handful, and sprinkle a few nuts on your cereal or salad and enjoy a few with your favorite fruit for a healthy pre-workout snack. Here's a video showing how many nuts it takes to reach 100 calories. 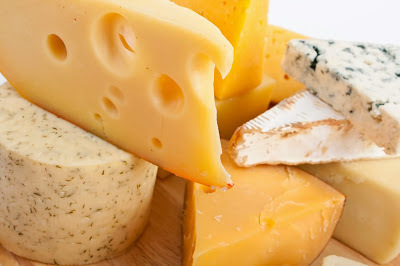 Cheese: High-fat dairy products such as cheese tend to be high in calories as well - a slice of cheddar (about an ounce) adds 113 calories to a sandwich, but it's also an excellent source of much-needed protein (seven grams) and calcium (202 mg). Since cheese tends to be high in sodium and calories, stick to a few cubes or a cheese stick paired with whole-grain crackers for a snack, and don't go overboard on the ooey gooey cheesy dishes. 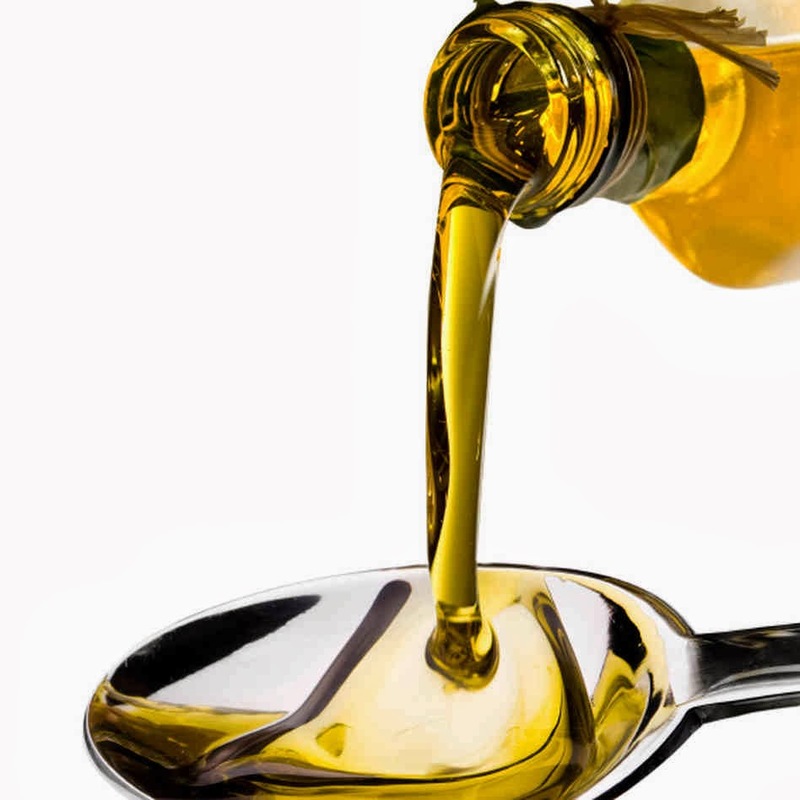 Olive Oil: Although salad dressings and foods cooked in oil tend to be high in waist-expanding calories, don't skip out on olive oil, a main staple in the Mediterranean diet. This monounsaturated fat is associated with a decreased risk of heart disease and certain types of cancers, has anti-inflammatory properties, is good for overall bone health, and helps you think more clearly. One tablespoon of extra virgin olive oil contains 120 calories, so go for a drizzle on your bread rather than a pour. 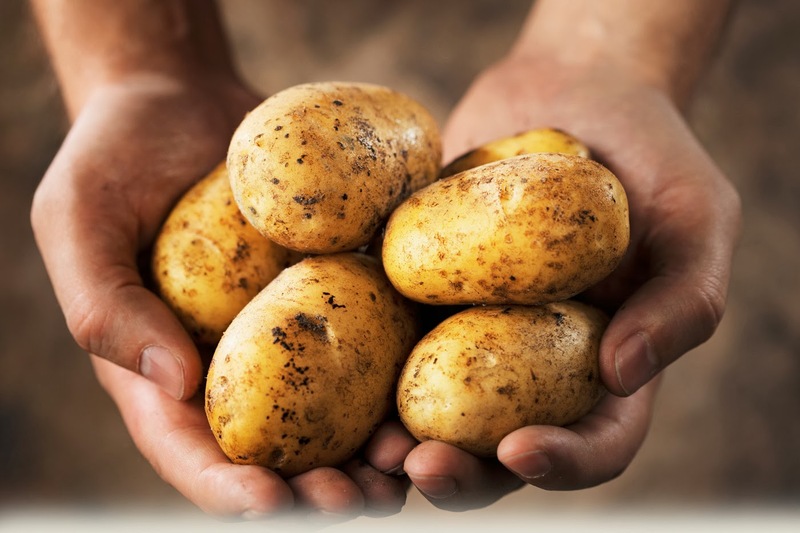 Potatoes: Given a bad reputation because they're high in carbs, baked potatoes shouldn't be shunned from your dinner plate. If you enjoy a medium potato with the skin for 161 calories, you'll also be getting iron, potassium, and fiber. It's the add-ons like butter, cheese, sour cream, and bacon that can really tack on the calories, so enjoy your baked potatoes with a little olive oil and a sprinkle of salt. Quinoa: Whole grains or pseudograins like quinoa tend to be high in calories: one cup of cooked quinoa will run you 222 calories. 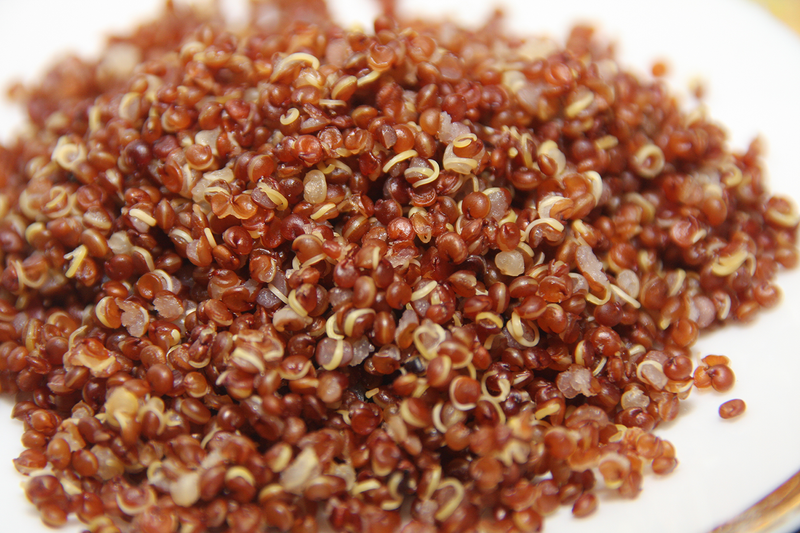 But don't shy away from these heart-healthy grains - a bowl will offer you potassium, protein, and satisfying fiber that will fill you up to prevent overeating, which can help on your quest to lose weight.